Temple Beth Ami’s Brotherhood fills a congregational need for male fellowship and a desire to make a meaningful contribution to the religious and general life of the synagogue. Membership in the Brotherhood is open to all members of the congregation. The degree of active participation is entirely up to each individual. A feeling of accomplishment adds a high level of enjoyment achieved with involvement in any of our activities. It’s never the wrong time to join. Fill out this quick form on ChaverWeb and you’re all set! I don’t have time to get involved: Your membership dues support our award-winning programs. Join us for brunch and other activities; get discounted admission. I just want to play softball: See above (remember to stretch before and after the game to avoid injury). I want to help with a particular project: We are delighted to have your help! Tell us how you want to get involved, and we’ll take you up on it! I’ve got a great idea/suggestion: We want to hear from you! I want to do as much as I can: Talk to a Brotherhood leader and join us for Brotherhood Board meetings. Expect to work hard and have fun! Don't be left out. Get involved with Brotherhood Today. The Beth Ami Brotherhood sponsors two men’s softball teams in the Suburban Maryland Synagogue Men’s Softball League. Each spring, the teams play double headers every Sunday morning. If you are interested in learning more about the league or just want to follow the weekly schedule, game results and standings of our two Beth Ami teams, please visit www.synagogue-softball.org. Both teams are always looking for young talent to take Beth Ami back to the league championship. 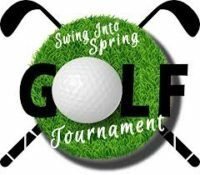 If you are interested in playing, please send an email to our team captains Dan Wojnilower (Blue team) and/or Bryan Kustner (Red team).